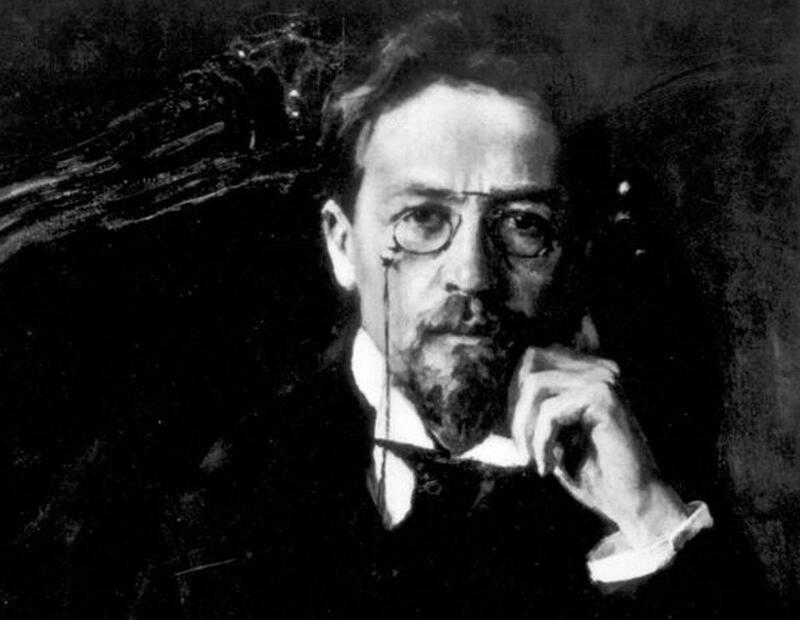 Anton Chekhov died far too young, succumbing 110 years ago at 44 to the tuberculosis that had long weakened but not silenced him. 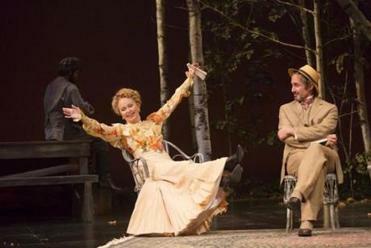 Lately, Chekhov’s voice has resounded from stages all over the Boston area. Indeed, nearly every month seems to bring word of a new Chekhov production, another piece of evidence that this man from another time speaks compellingly to our own time. Not that it’s a one-way conversation: Our time is talking back to Chekhov, too, in the form of adaptations by some of our leading playwrights, multimedia interpretations of his work, and a mirthful satire or two. So what explains our abiding interest in a long-dead Russian playwright and short-story practitioner? Let’s get the obvious answer out of the way: Chekhov was a great writer, and greatness is always its own justification. But Moliere was also a great writer, and productions of his plays are scarce, at least in the Boston area. I think we are especially fascinated with Chekhov at least partly because he built his plainspoken dramas with unusual directness on the eternal questions that everyone grapples with — How should we live? How can we live? — and on the eternal challenges of love, family, work, meaning. In her Huntington Theatre Company production, director Maria Aitken gives due weight to the play’s strong currents of melancholy. Chekhov’s characters live by dreams, fret about money, lose their hearts and heads to wayward passion, taste disillusionment and defeat and despair, and somehow manage to keep going (most of them, anyway). His plays are understated and laced with sardonic humor, but Chekhov’s wry affection and empathy for his characters is palpable. He goes all-in when the subject is life and its disappointments and its fleeting but fierce joys. A sense of mortal stakes and moral seriousness runs through his plays, along with a current of deep feeling that is unpolluted by literary showboating. It’s likely that is what also drew other major American playwrights — Annie Baker, Craig Lucas, Tracy Letts — to adapt Chekhov. For all the cultural differences between then and now, the quandaries and dilemmas of Chekhov’s people reflect our own. They are plagued not just by financial anxiety but by a fear of losing their homes and their place in the world, an all-too-familiar sensation among today’s recession-era audiences. One of the problems Chekhov’s characters face, of course, is that they’re doomed to be always “fighting vainly the old ennui,’’ as Cole Porter might say. Though startling events certainly occur in Chekhov’s dramas — those momentous gunshots in “The Seagull,’’ “Uncle Vanya,’’ and “Three Sisters’’; the blurted, all-or-nothing declarations of passion that seem to come out of nowhere — the playwright was brutally honest about the prevalence of boredom in any human life. You can almost hear the ticking of the clock. In a parallel vein, Chekhov forces us to acknowledge the enervating power of simple inertia, which prevents us from pursuing our oft-stated aims, even if we know that real life is being lived elsewhere. “I want to go to Moscow! Moscow! Moscow!’’ Irina exclaims in “Three Sisters,’’ chafing at the limits of their provincial town. But what, exactly, is preventing the Prozorov sisters from simply, you know, going to Moscow? Perhaps Chekhov offers a kind of answer elsewhere in “Three Sisters,’’ when a colonel named Vershinin remarks: “We’re never happy, we can never be happy. We only want to be happy.’’ A physician trained in the art of unblinking diagnosis, Chekhov knew us very well. As a dramatist, Chekhov follows through on that stance by showing what might be called a nonpartisan spirit in his characterizations. He refuses to neatly divide his dramatis personae into heroes and villains. He makes us work. We watch his plays without feeling his thumb on the scales; he doesn’t signal how we should feel or whom we should root for at every moment. Chekhov’s oeuvre is a malleable feast, to borrow and bend a phrase from Hemingway. It attracted the interest of a fellow Russian and international celebrity such as Mikhail Baryshnikov, who starred at the Emerson/Cutler Majestic Theatre this month in “Man in a Case,’’ a multimedia theater piece presented by ArtsEmerson based on two Chekhov short stories. But it also proved well suited to a troupe whose renown does not extend much beyond Boston: the able cast of Actors’ Shakespeare Project’s “The Cherry Orchard,’’ which took place this month inside a spacious hall at Pine Manor College. the helm. In the days before, there had been yet another burst of Chekhov-related news. 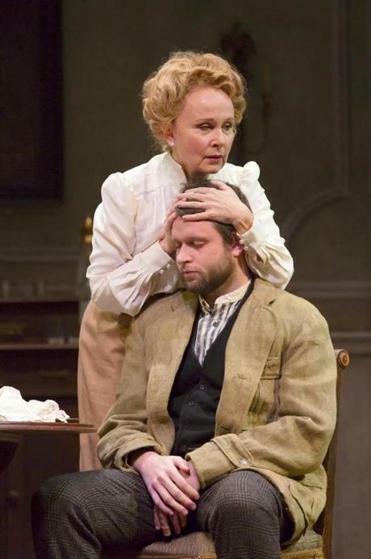 First, the Huntington announced that it will kick off 2015 with Christopher Durang’s Chekhov-inspired comedy, “Vanya and Sonia and Masha and Spike,’’ directed by former Huntington artistic director Nicholas Martin, who helmed the Tony Award-winning production of Durang’s play on Broadway. (“Vanya and Sonia and Masha and Spike’’ was also recently produced at Trinity Repertory Company in Providence.) Then the small Wellfleet-based Harbor Stage Company, which brought its stripped-down production of “The Seagull’’ to Boston last fall, said last week that it will open its season this summer with “Uncle Vanya’’ and will also bring that production to Boston. To which we can confidently add: And the stage will still be alive with the work of Anton Chekhov, who did such an exemplary job dramatizing the tragicomedy of the human condition.